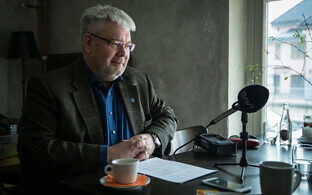 The conflict sparked by the UN Global Compact for Migration led to an increase in supporters of the Conservative People's Party of Estonia (EKRE), but also significant uptick in the number of voters who would not vote for EKRE under any circumstances. This month's ERR-commissioned nationwide survey was conducted by Turu-uuringute AS during an eventful time. 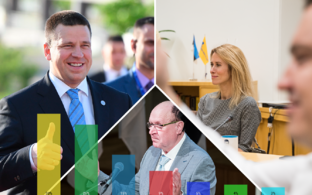 During the first week of polling, the Riigikogu held an extra session to approve a resolution supporting the UN Global Compact for Migration. 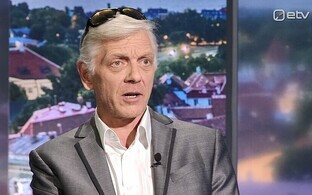 The sitting was preceded by an EKRE-organised protest in front of the Riigikogu, which in turn led to a physical altercation with MEP Indrek Tarand (SDE), setting the tone for the duration of the survey period. According to the results of the survey, support for EKRE increased from 15% in November to 18% in December. 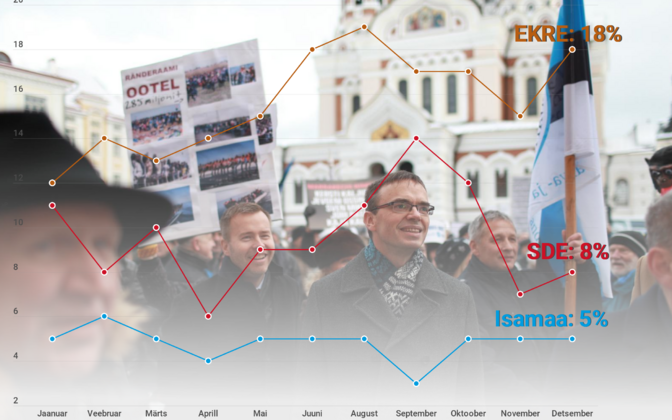 Support for EKRE is again beginning to approach that of the Reform Party, which continued to fall for the second month in a row, dropping from 23% in November to 21% in December. 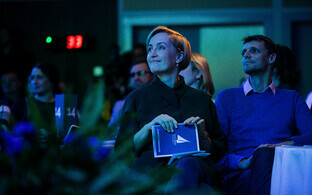 In October, Estonia's largest opposition party was still favoured by 28% of voters. Support for the country's most popular party, the Centre Party, likewise fell — while the prime minister's party was supported by 33% of voters in November, its popularity dropped two points to 31% in December. Centre nonetheless commands a strong lead in the ratings' top spot. The Social Democratic Party (SDE), which shared the limelight with EKRE during the migration compact conflict, remained almost steady on month, increasing 1% to 8% in December. 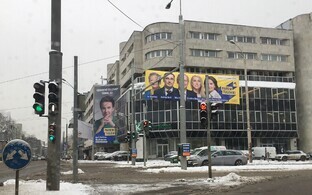 Support for Pro Patria, meanwhile, hovered on the election threshold of 5% for the second month in a row, despite the coalition party's opposition to the migration compact. 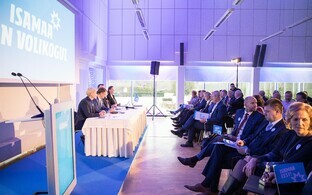 The nonparliamentary, nascent party Estonia 200 would also currently stand to exceed the election threshold at 7% in December. 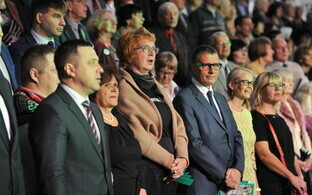 Falling below the 5% threshold, meanwhile, were the Estonian Greens at 3% and the parliamentary Free Party at 1% support. Two newcomer parties, both of which were registered on 21 November, effectively did not earn any support this month, with the Biodiversity Party being supported by 1% and People's Will commading the support of 0% of voters. The government coalition, which consists of the Centre Party, SDE and Pro Patria, was supported this month by a total of 44% of voters; the opposition, meanwhile, had the support of 40%. The number of voters who expressed no preference also grew — to 38% this month. Turu-uuringute AS also asked respondents which party they would definitely not vote for. 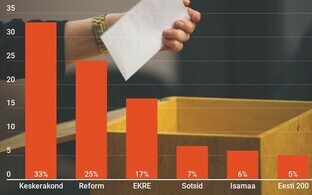 Despite EKRE increasing its overall support, the number of voters strictly opposed to voting for the party increased as well. The number of voters who indicated they would not vote for EKRE under any circumstances increased from 38% in November to 48% in December, usurping Centre as the party with the largest opposition. The number of voters strictly opposed to voting for the SDE, representing the other side of the migration conflict in Estonia, saw an increase as well — from 16% in November to 20% in December. Those against Centre, meanwhile, continued to decline in number, from 43% in October and 39% in November to 35% in December. SDE and Centre's voters were most likely to vote in the next elections, at 75% and 72%, respectively. Pro Patria, EKRE and Reform supporters were not far behind at 69% and 65%, and 64%. 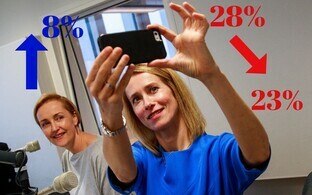 57% of Estonia 200 voters likewise promised they would vote in the next elections. In contrast, just 35% of Free Party and 12% of Estonian Greens supporters promised the same. 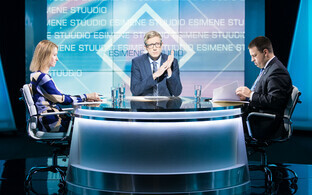 From 27 November-10 December, Turu-uuringute AS interviewed more than 1,000 voting-age Estonian citizens in their homes. The answers of those who indicated no preference were eliminated from the outcome so as to make it as comparable as possible to the outcome of a Riigikogu election. The margin of error does not exceed ±3.10% per 1,000 respondents surveyed. The next Riigikogu election is scheduled to be held on 3 March 2019.